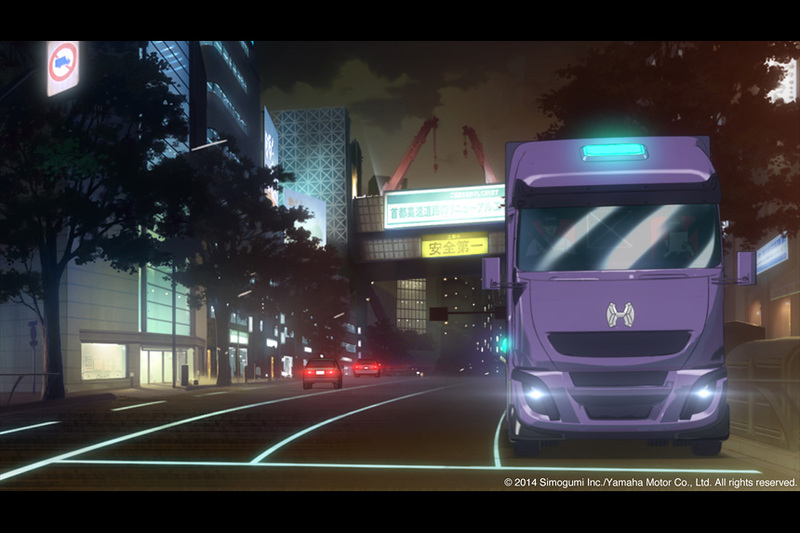 Gaien-mae Stage - Master of Torque - Motorcycles | YAMAHA MOTOR CO., LTD. 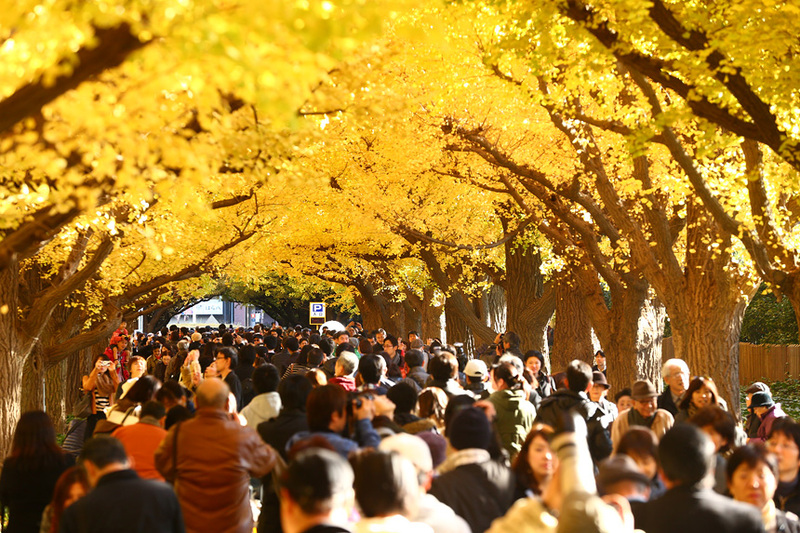 The inspiration people seek: For almost everyone that knows the Gaien-mae name, the first image it invariably brings to mind is the beauty of the ginkgo tree-lined avenue seen from R246 running straight toward the Meiji Memorial Picture Gallery. In the late autumn sunlight, the trees wear a rich golden halo that spreads to the ground, but this isn’t the only season to enjoy them. 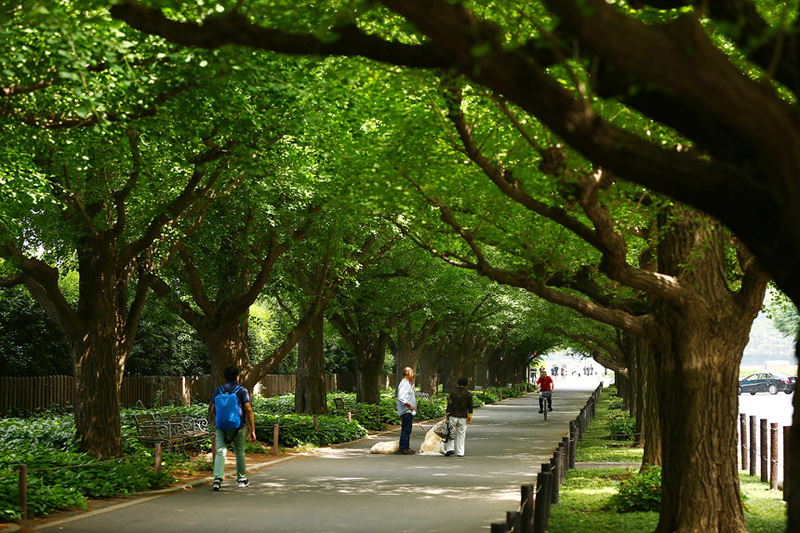 In summer, with the nearly tropical heat that now besieges Tokyo every year, the shade of the avenue’s trees and the smell of the earth offer a soothing respite for visitors to Jingu Gaien. You can also hear the enthusiastic voices of people enjoying sports or the occasional crack of a baseball bat. 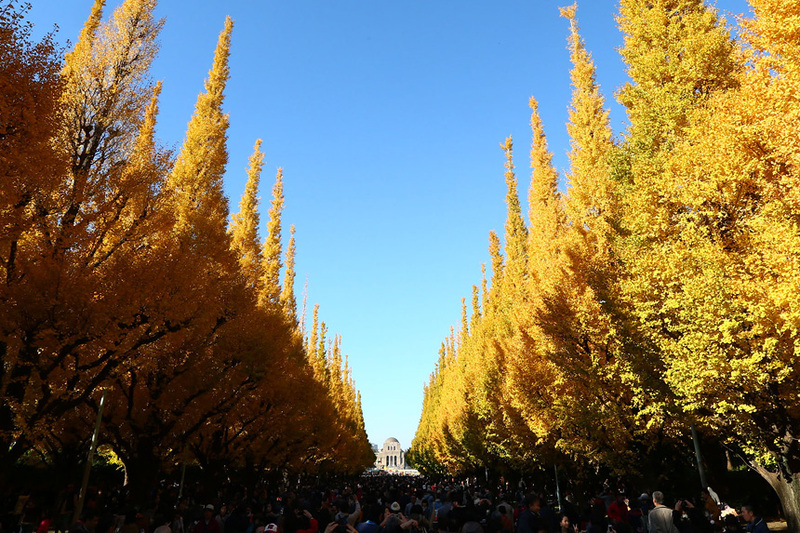 For many, another attraction is that this is also one of the few places left in Tokyo where you can see a wide-open sky overhead without obstruction. Read more In terms of urban design, Jingu Gaien isn’t an area that reflects traditional Japanese architecture or city layouts from centuries past, but it does reflect the early efforts to assimilate things from the West, but with Japanese flavor, during the country’s modernization period in the early 20th century. 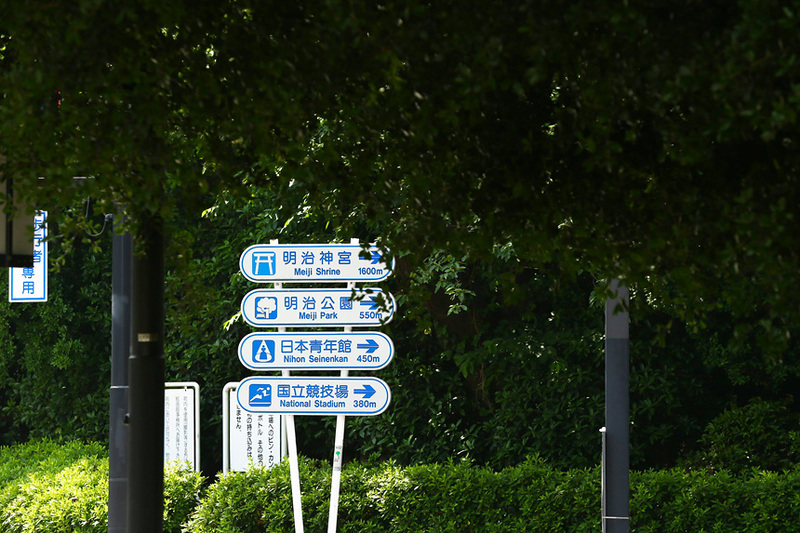 The word “Jingu” indicates a Japanese Shinto shrine of great importance, and that fact that this area is now a place where people come to enjoy Western sports like soccer, rugby and baseball is also very “Japanese.” For fans of a certain video game, “Jingu Gaien” and “R246” are now special and symbolic locales – ones that people around the world dream of someday visiting and going for a spin down. 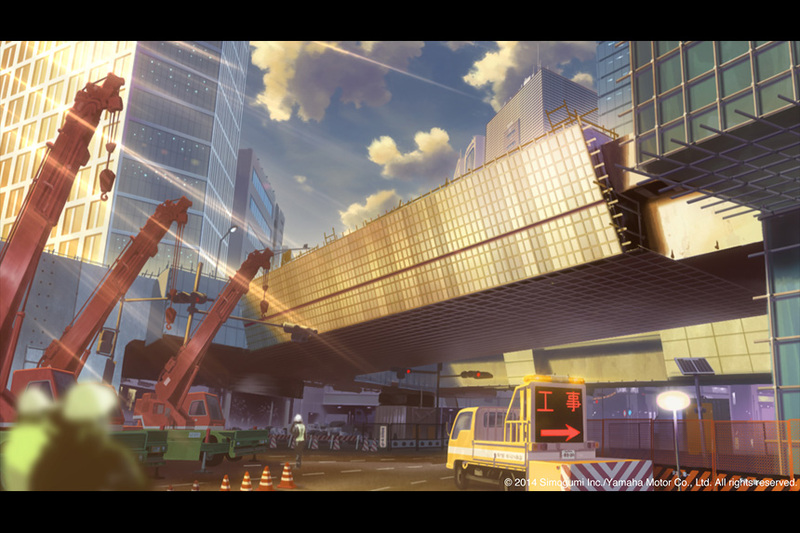 In short: Gaien-mae is located roughly in the middle of the section of R246 called Aoyama-dori, and its name is actually not an official place name but the name of a station on the Ginza Line, Japan’s oldest subway line. 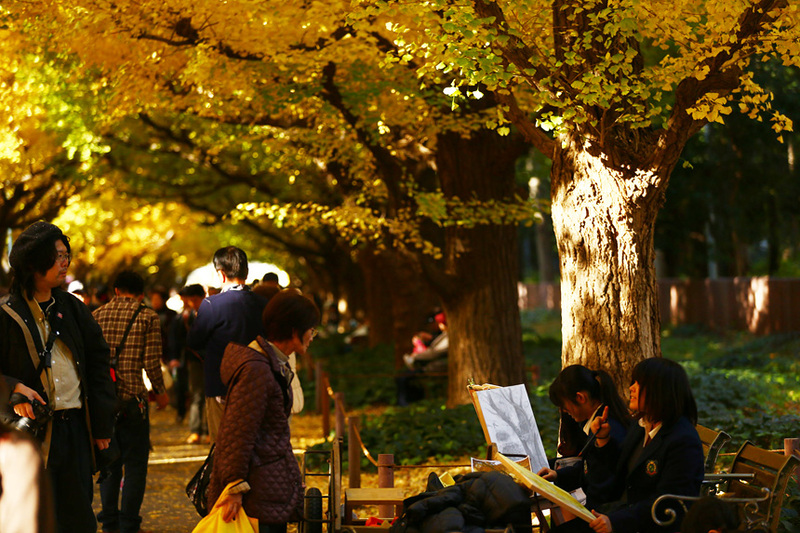 “Gaien” is short for “Meiji Jingu Gaien,” a facility complex connected to the Meiji Shrine in Harajuku via the shrine’s northern pilgrimage road. “Gaien-mae” is used to describe the area situated southwest of this complex. 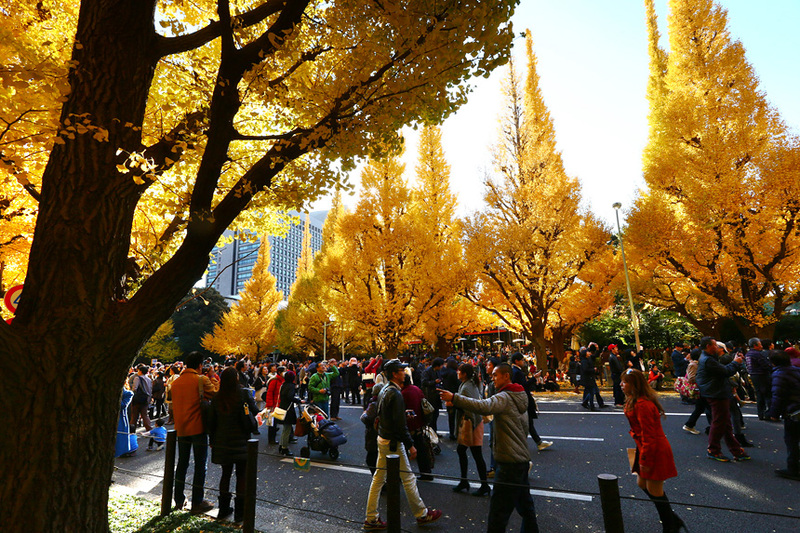 Read more The roughly 300-meter stretch of road from Aoyama-mon on R246 to Jingu Gaien’s symbolic Meiji Memorial Picture Gallery building is known for the beauty of the ginkgo trees that line its length when their leaves turn golden yellow in autumn. They attract many visitors during the season and are a famous spot for filming and photography. 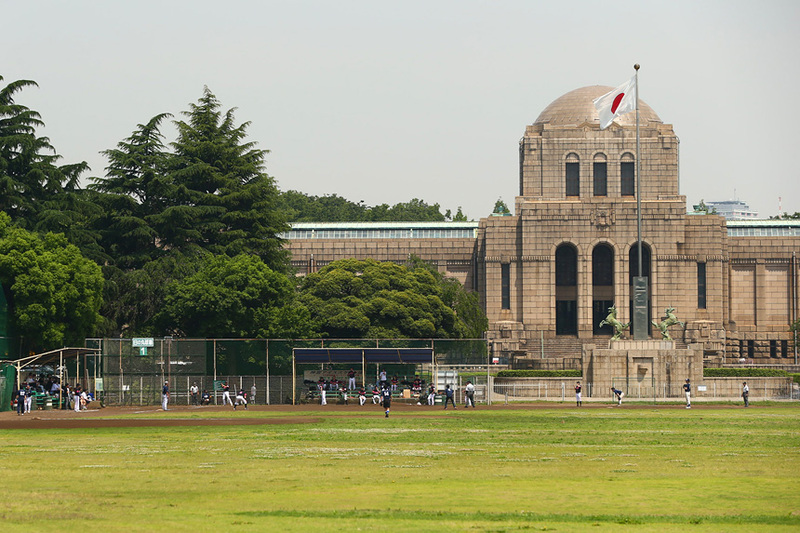 Jingu Gaien is also one of the “New 100 Famous Sights of Tokyo” and several sports facilities where top-level athletes compete are located here. 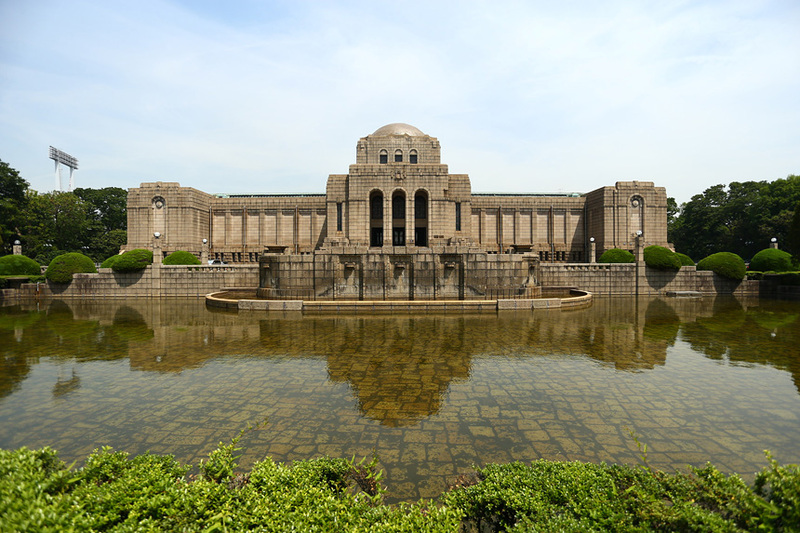 The Tokyo Olympic Stadium originally built for the Tokyo Olympics in 1964 can be found here, and it will be refurbished and used again as the main stadium for the upcoming 2020 Olympics. 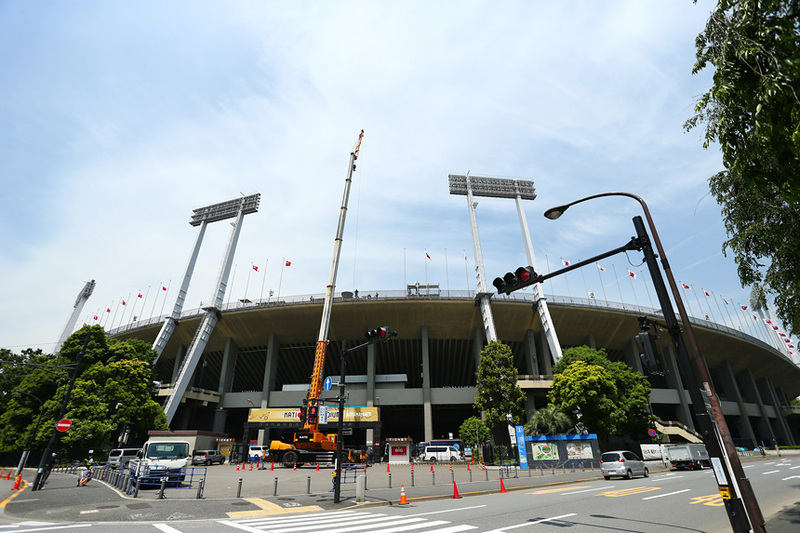 The Chichibunomiya Rugby Stadium and the Jingu Baseball Stadium are also located here. 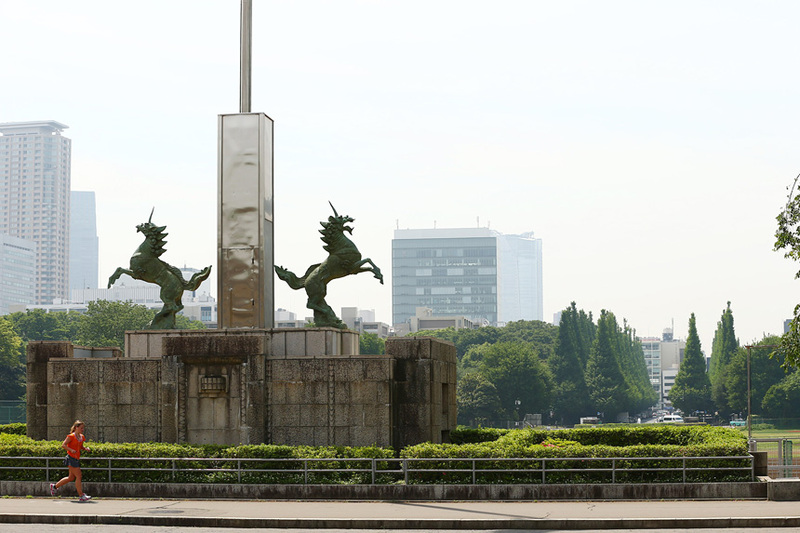 Some background: In the early Edo Period, this area of the city was known as Aoyama-juku because it was the location of the estate of the Aoyama Clan, retainers to the first Tokugawa Shogun, Ieyasu. 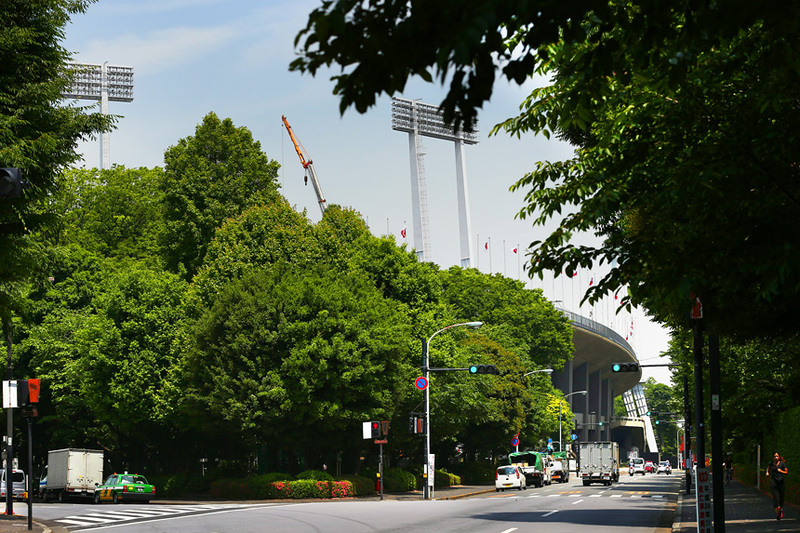 The road running uphill from today’s Gaien-mae intersection on Aoyama-dori past the Chichibunomiya Rugby Stadium existed back then, and extended slightly farther up to where the first base stands of the Jingu Baseball Stadium are today. Along this part of the road stood the homes of the “Aoyama Koga One Hundred.” As the name implies, these were people with roots in the Koga ninjas active during the Warring States Period. In the ensuing Tokugawa reign, they now lived here in Aoyama as one of four “Groups of 100” (riflemen), guarding the Ote-sanno-mon Gate to Edo Castle and escorting the shoguns on their visits to the temples of Kaneiji and Zojoji. 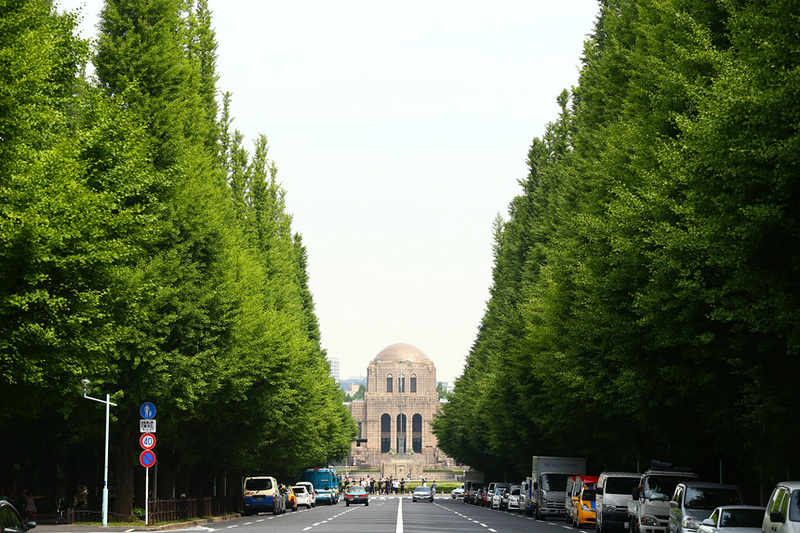 Read more Entering the Meiji Period, most of the area known as Jingu Gaien today was the army’s Aoyama Parade Grounds. When the Meiji Emperor passed away in 1911, construction of Meiji Shrine (the inner gardens) began, and the site of today’s Jingu Gaien was set aside for building “places to strengthen the body and train the mind, and bases for the development and spread of culture and the arts.” Japan’s first subway line, the Ginza Line, ran from Asakusa to Nihonbashi, Ginza and on to Shibuya, and Gaienmae Station was added to the line in 1938. 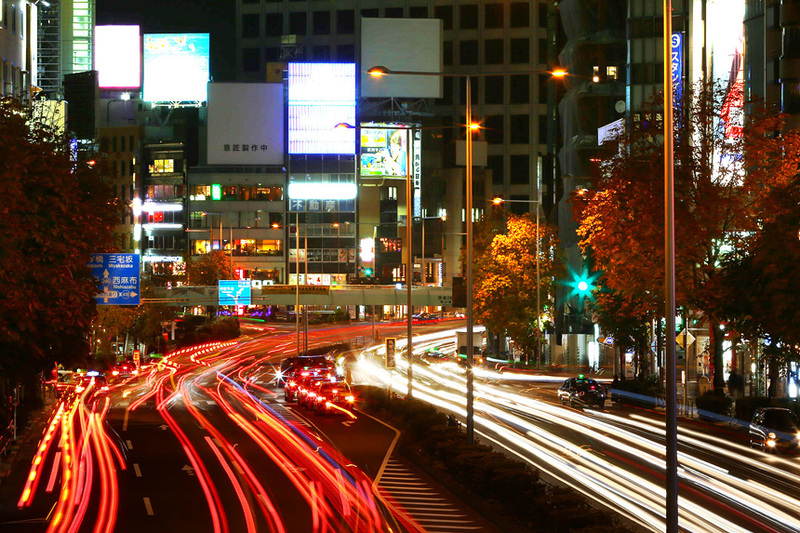 With the holding of the 1964 Tokyo Olympics, R246 was widened to its current three lanes, and Gaien-mae got the boundaries it still has today.